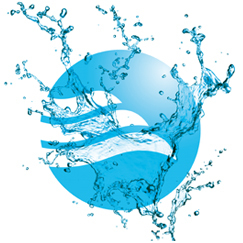 Flomatic® Corporation is a diversified valve manufacturer of water valves & waste water valves. Click on a product area to the left to view specifications and online Request for Quote (RFQ). These high quality water valves are available in a wide range of sizes and materials and are specifically designed for the Municipal, Industrial, Domestic and Irrigation Markets. Flomatic® Corporation is a company committed to preserving and improving the environment while producing products that meet the most stringent safety and health standards. Flomatic® Corporation introduced the industry’s first unleaded bronze ENVIRO CHECK®, in 1996, which have been recognized as an acceptable material for California Prop 65. Flomatic® Corporation is dedicated to manufacturing high quality long lasting water valves with unparalleled customer service. The Flomatic® Flo-E-Centric® plug valve seat and plug face provide tight shut off and wear resistance. Special design for minimal contact results in low operating torque. Designed for systems where slurries, grit or solids are present.